HURFOM: Local teachers from Beelin Township government schools have been ordered to attend polling booth trainings conducted by senior members of the USDP. Teachers have expressed concern and disinterest in the election as a result of the USDP’s key position in conducting election preparations. [After] being ordered by Township education secretary, although we do not want to attend the training, we could not complaint about it and we have to attend. So, obviously we are kind of forced to attend the training. Honestly, I do not want to participate in any political activities. Also I do not understand about the forthcoming election completely. I am not interested in it either. However, as I am kind of forced to attend the training, it is certain that I [will] have to take responsibility for this upcoming election as [a] polling booth team co-officer/sub-officer or a member of polling booth supervision team. As I cannot reject taking this kind of responsibility, I will be hated by everyone. But I am not willing to do like that nor am I interested since the beginning. According to the order of [the] education secretary, we have to attend the training at Beelin High school and arrive there at 8 AM on, Sept. 18th, 2010. I do not want to either attend the training or participate in it. I work as a teacher because I have sympathy for the lives of kids in my village. For me, I have never wanted to [be] involved in anything that [is] conducted by the government. Even though they [the government ] firstly said no service personal will be assigned to participate in political activities, they now force us to attend. Also for me, I have already decided that if possible, I will not vote. Now, however, we are forced to attend the polling booth team training, and I am getting really disappointed with it. 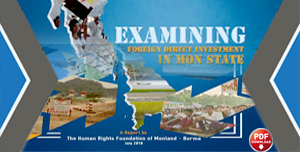 Also what I am getting more frustrated is that the training is led by leaders of [the] USDP, and I have no idea why they the leaders of USDP come to give the training by themselves, as they are also contesting for their individual candidates [seats]. I have to participate in that training otherwise I will be fired and there will be a big problem, due to [this] township education order. 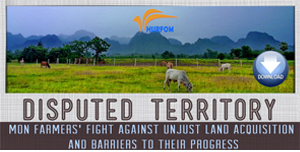 Sources from Beelin Township have noted that the two strongest political parties are both government back parties, the USDP and the National Unity Party (NUP), and have appeared to dominate campaigning at the local level in Beelin Township. Only one other political party in Beelin Towsnhip, the Phalon-Sawaw Democratic Party (PSDP), has been able to successfully register, submit a candidate list, and campaign. These accounts highlight the regimes ongoing campaign to ensure that at least one government party will dominate the November 7th poling date. By using government employees whose jobs, and thus livelihoods, are dependent on retaining their positions, the government aims to force compliance of stuff to oversee polling stations. 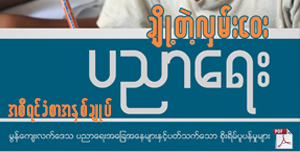 By using USDP party members to conduct training, the regime is likely attempting to pressure the work and votes of polling staff at the stations, though HURFOM has yet been unable to confirm the details of what specifically polling teams are trained in, or to what degree they will be active in the process of civilians submitting votes. The responses of disappointment and frustration indicate teachers are aware of the negative implication of this close government/party relationship. The resulting general disinterest in political activity in the current election climate also seem to indicate that teachers forced to participate see not voting as the safest option between supporting the regime with a vote, and being targeted by regime forces for casting a ballot for the independent party. The responses of disappoint, frustration, and disinterest in participation are indicative reactions to the regimes campaign to ensure the success of a regime backed party. Disregarding the previously touted qualities of a “free and fair” election, the regime’s use of USDP party members to train polling staff when they will later contest the election, is not lost on local teachers or, likely, other community members. 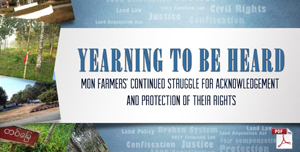 Faced with the difficult choice of assenting to participate in the regimes polling staff, or likely face harsh repercussions through loss of job and livelihood if they refuse, teachers are choosing to participate. However, these staff retain their active political role by choosing to not participate in the election itself, as they are expected to vote for the regime, and to vote against the regime would likely result in the same loss of job, likelihood, and other threats. 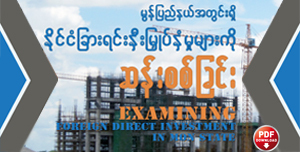 The USDP which has actively campaigned throughout Burma and has registered candidates for every seat in the coming election, has been widely criticized for its close physical and financial relationship with the current regime, the State Peace and Development Council (SDPC), an apparent violation of the countries own strict election laws. 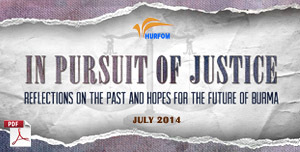 For details see, “Watering the Poison-Tree: The ongoing systemic erosion of democratic process,” HURFOM, September, 2010. 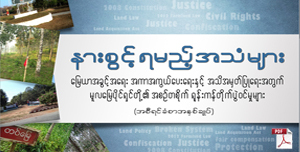 For further information detailing the ongoing campaigns of the USDP and NUP see, “NUP campaign promises immunity from regime abuses,” HURFOM, September, 2010; “Watering the Poison-Tree: The ongoing systemic erosion of democratic process,” HURFOM, September, 2010.